This elegant bouquet carries a cozy countryside feel. 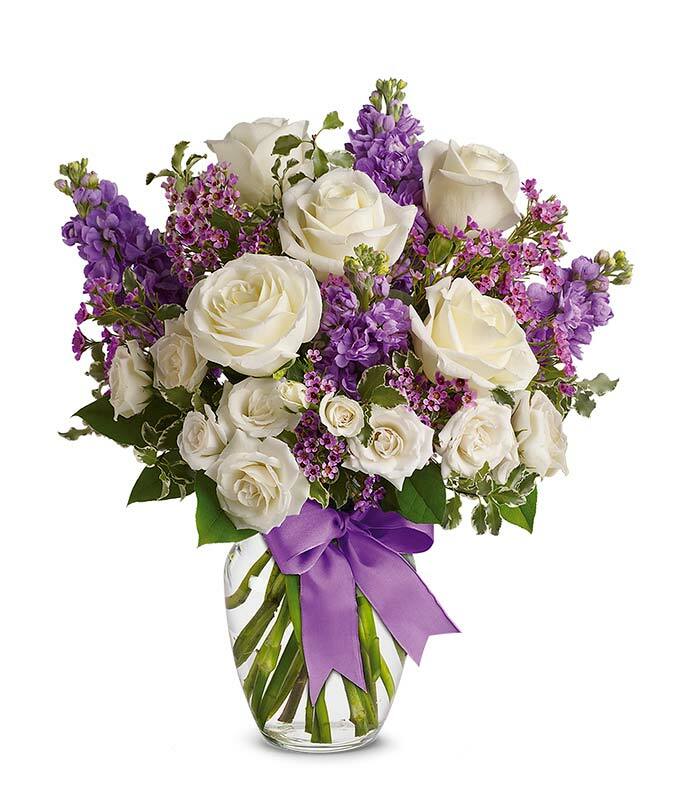 With its perfect purples and pearly whites, our unique flower bouquet is great for display in any home or office. This hand-crafted floral arrangement creates an "Enchanted Cottage" atmosphere wherever it's placed. Send someone special this bouquet today and watch them smile from ear to ear.